It’s that time of year where we all start thinking of the holidays so what better way to get your Holiday spirit than a great Helmar Holiday Hop? Filled with so much Holiday cheer and some amazing projects featuring all the different Helmar Adhesives. Hello everyone and welcome to my stop on the Helmar Holiday Hop. If you have been following along, you should have hopped here from Linda Baldock’s blog. If not, you just have to stop at the Helmar Blog and start from the beginning. There are goodies along the way and we don’t want you to miss a thing. I have kept it a little simple to show you just how easy it is to create some beautiful decorations for your Christmas festivities. 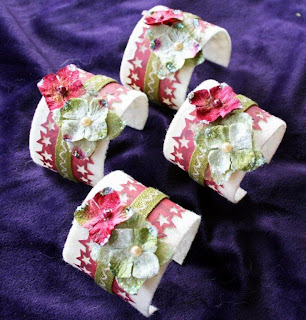 The first share are some napkin ring holders that I created using Helmar 450 Quick Dry as well as some Helmar Fabric stiffener and draping liquid. To make these I simply cut some strips out of coloured felt squares. I dipped them into the stiffener and then tied them around a cardboard tube (from an emply plastic wrap) with a little string. I did leave a little plastic wrap around the tube to ensure the felt wouldn't stick as it dried. When dry I simply removed it from the tube and covered the centre with some paper that I had used a border punch on each side of the strip adhering it with my 450 Quick Dry. I also used this glue to add a layer of ribbon in the middle and some festive flowers to the top. So quick and easy and I can't wait to put them on my table for Christmas lunch this year. This is what they look without the napkins - as you can see they hold their shape really well! My second little share are these personalised Christmas balls. I love to make these every year and my Helmar 450 Quick Dry made it the EASIEST process this year. I simply did the writing with the glue. I had to work quickly but snuck in this photo so that you could see the process. I then sprinkled over some glitter and then tapped the ball to remove the excess glitter. I just love how they look on my tree! Make sure you leave a comment at every stop because the elves of Helmar will be giving away prizes to some lucky Helmar fans. Now hop on over to Nikki Sivils' blog to see another amazing Helmar Holiday project. The Holiday Hop will be open for comments until 11:59P.S.T (American time) December 4th (6:59pm December 5th AEST), so take a look and enjoy a little holiday spirit from all of us on the Helmar Team. Thanks again for stopping by today and Happy Holidays. Loving those napkin rings.. very creative and your tree looks awesome with those baubles on it! Don't you just love writing with 450 Quick Dry? I do! 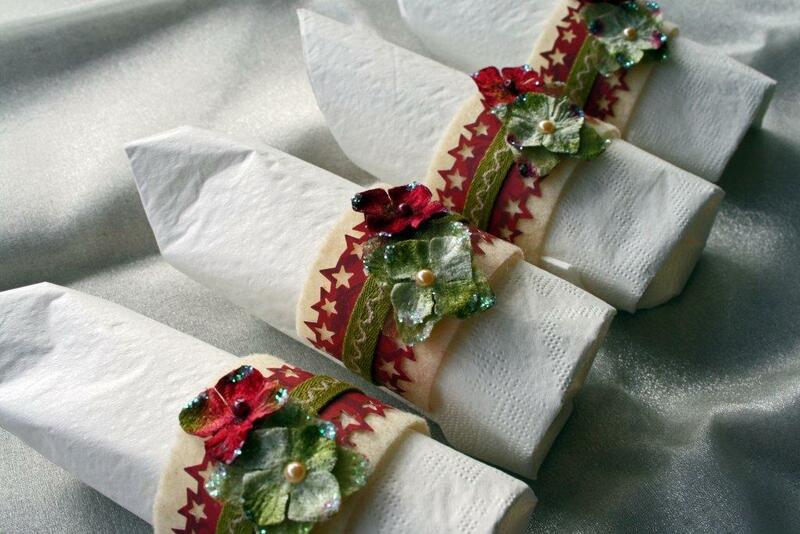 I really love your napkin rings, so pretty and festive! Love the napkin ring holders! The baubles look fab on your tree. Both of your projects are so festive and fun! Love the napkin rings and the Ornaments. TFS and inspiring. Lovely napkin rings and ornaments! Beautiful projects Rebecca! Your tree is stunning! These look wonderful Beck! Your table will look very festive! Love what you did with the baubles too! Your napkin rings are brilliant! 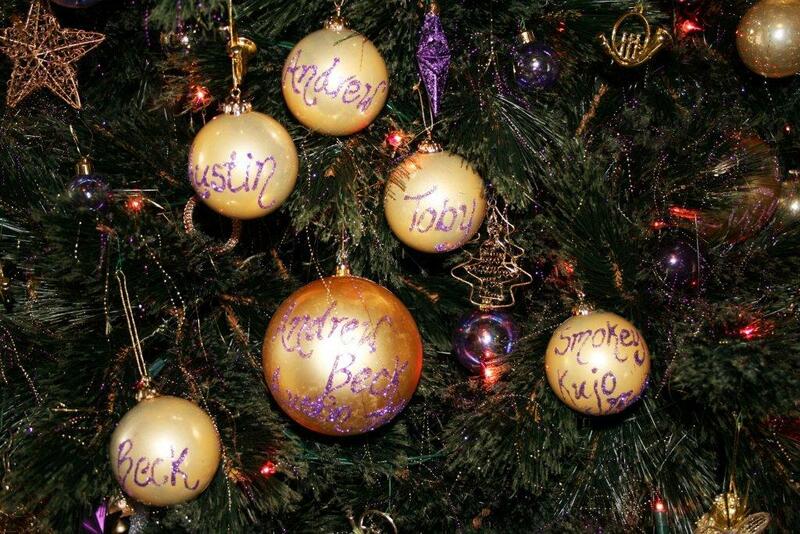 And your personalized ornaments are fabulous too! What adorable napkin rings! I never even thought to create something like that! Thank you for the inspiration! Love the personalized ornaments and the napkin rings, awesome job!! Very nice and clever! Will be trying these projects myself. LOVE your felted napkin rings, Beck .. must try this soon. That's the real problem with great blog hops like this one... too many ideas to cram into my muffin-head. Too little time! hi Beck~love these cuties and the ornaments fabulous use of Helnar!!! My kids love decorating their own ornaments...have never put their names on them, but that is a great idea! :) TFS! Your napkin rings are beautiful and love the personalized ornaments. Your tree is beautiful. Love the projects you have done. So very creative and inspiring!! awesome projects! I really love the napkin rings, so clever! Very cute ornaments. I've got to get some of the fabric stiffener. I just love your napkin ring project. This is awesome. Definitely making some ornaments with my kids names this year! 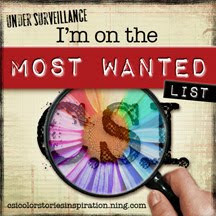 I'm blown away by all the clever and wonderful ideas on this blog hop! I can see why you are a member of this DT. Beautiful projects - I especially love the ornaments!! Awesome! Love ur personalization to the Christmas balls. 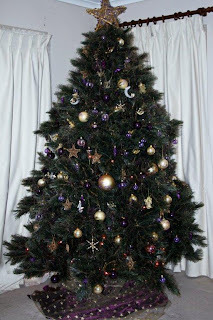 Your tree looks very festive! Every stop along the way of the hop Beck, my jaw drops a little more. These are beautiful. Man are we lucky to have you on this team. Your tree is absolutely beautiful. And what a sweet and quick idea for personalized ornaments. thanks for sharing!! Love these napkin rings and ornaments! Love those napkin rings! This is a project I might do for my Christmas Day dinner! I love your napkin rings, great idea! These are so special, thanks for sharing! i love it!! they are cute! I love those little napkin rings - they are such a great way to dress up the dinner table! The personalized bulbs are adorable. Lovely napkin rings! Truly inspirational! Very nice. Thanks for the inspiration. Love the napkin rings...fabulous idea! Love the use of the fabric for napkin rings. It's my turn to host Christmas lunch next year. Keeping this idea handy. Beautiful napkin rings, so nice for the festive table, and I love what you've done with the Christmas baubles, thanks. Awesome ideas!!! THANKS for sharing!! Great idea on the napkin rings..they're fabulous. I like the ornaments too. Wonderful, to see a new way to use my 450. Clever job on your ornaments...they will make great gifts. Your napkin rings are very pretty too. Thanks for sharing your ideas. The projects are really cute and sound easy. Thanks for sharing. Thanks for sharing your wonderful napkin rings and the fabulous personalized ornaments. Your tree looks beautiful! Love those napkin ring holders. What a great idea! The napkin rings are awesome! Love the glittered ornaments too. Thanks for sharing your talents. this is amazing. love the napkin holders and the ornaments with the names.. would make a great teachers gift. Super projects! Thanks so much for sharing them. Ooooh, hadn't thought about using that with felt. Love your projects. Great ideas. Thanks so much for sharing. I like your idea of a personal ornament annually. I've always bought my daughter a mouse ornament every year. Her nickname as a baby was "Mouse" and I've just carried the theme on 33 Christmas's later. Cute ornaments, and the napkin rings are darling too!! So easy to make, but looks like you did so much!! Love your name ornaments! I think I'll make some and use them as gift tags! Great ideas Beck - thanks for sharing! wow! I love your napkin rings and all the fabulous ornament inspiration!